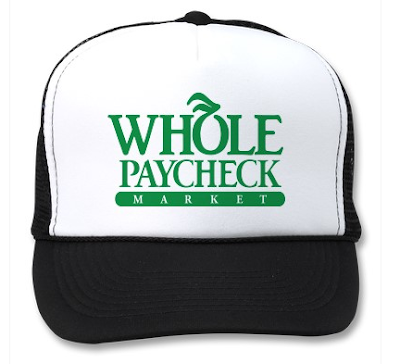 Whole Foods is offering a steeper employee discount to workers with lower BMI scores. As many have pointed out, BMIs aren't the best yardstick with which to determine if someone's fat and unhealthy, and some have suggested that Whole Foods' application of this policy could run afoul of the law. My biggest issue with this discount policy, however, is that Whole Foods is penalizing fat workers -- the very segment of the workforce that most desperately needs to buy healthy food. Two years ago, Mackey passed through one of the roughest stretches of his life. The Bush Administration, in an uncharacteristic spasm of antitrust vigilance, was fighting Whole Foods’ purchase of a competitor, Wild Oats, contending that the merged company would unfairly corner what the Federal Trade Commission called the “premium natural and organic supermarket” sector. Meanwhile, the Securities and Exchange Commission was investigating Mackey: for nearly eight years, he had been secretly logging onto an Internet message board devoted to Whole Foods stock under the sock puppet, or pseudonym, “rahodeb” (an anagram of Deborah, his wife’s name), praising his own company, disparaging Wild Oats, and throwing in a flattering remark about his hair (“I think he looks cute!”).